Matterport Virtual Tours can be a fantastic multimedia addition to your website. In addition we enjoy creating bonus video and photo content from the virtual tours once they are complete. Below are some live examples of how you can generate bonus multi media material all originating from a Matterport Virtual Tour. We provide this service at a nominal fee for any of our customers but you could also do it yourself with post production knowledge. 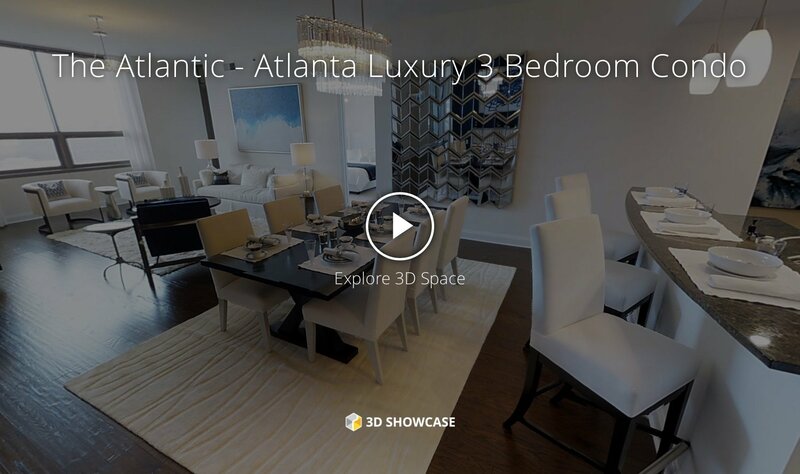 First of all, we will start with a Matterport Virtual Tour of a 3 bedroom residence from The Atlantic (client) in Atlanta. This is the virtual tour we created. High end #luxury living in #Atlanta at The Atlantic.